Sandoval Lake, one of several oxbow lakes in the area, a habitat for numerous wildlife species. Macaws flocking to a clay lick. 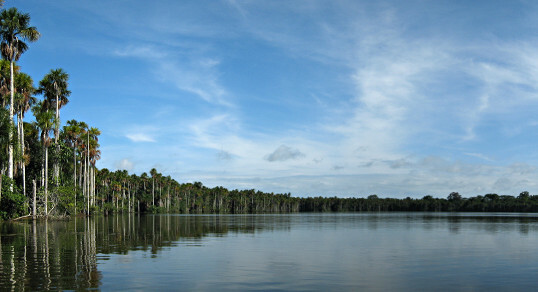 Tambopata has the largest known clay lick in the world. 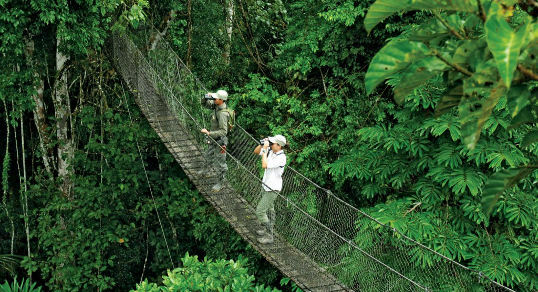 Inkaterra Canopy Walkway, an impressive network of hanging bridges, platforms and towers. 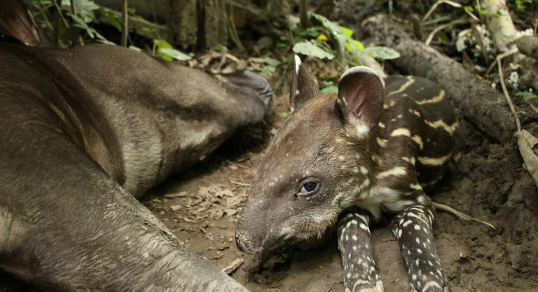 Tapir born at the Taricaya Animal Rescue Centre, a conservation project at the Taricaya reserve. The Tambopata National Reserve in the Peruvian Amazon is one of the world’s most biologically diverse areas. An extraordinary tropical rainforest location between Cuzco and Bolivia where you can immerse yourself in nature, enjoy breath-taking landscapes and have the opportunity of seeing countless wildlife species in their natural habitats. Red Howler Monkey Facts - Did you know…? Have you been to the Tambopata National Reserve? Share your impressions, photos and tips with other visitors! Get in touch, we'd love to hear from you. Have a business in the Tambopata or Puerto Maldonado area? Advertise on our site and/or if you own an accommodation, get included in our listings. Send us a message.